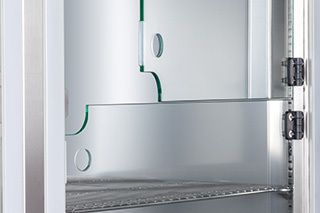 Extremely high quality, durable and flexible – these are the characteris­tics of the RUMED® Premium-Line of stainless steel. 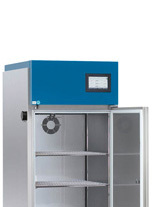 Thanks to the variety of options and accessories, the precision test cabinets can be configured almost boundlessly for any kind of climatic test. 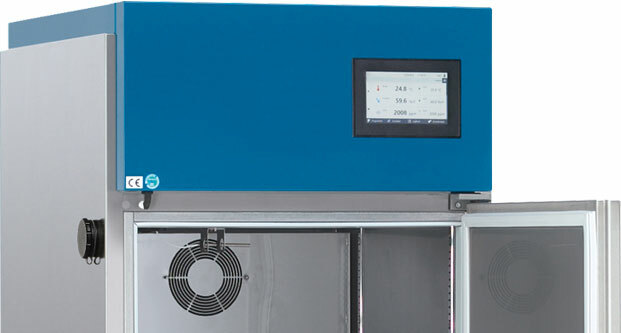 No matter if stability test in pharmacy, cultivation of test plants, or artificial ageing of products – the influence of temperature, humidity, light and CO2 on the specimen can be tested reliably by means of RUMED®s Stainless Steel Premium-Line. 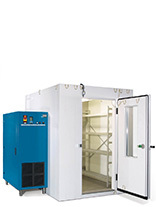 We offer a selection of 6 test room volumes from 210 l to 1700 l, which is unique on the market. 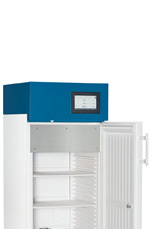 Particularly the large-volume appliances with only small space requirements in the laboratory have an extremely good cost-benefit ratio relating to the volume. The next pages will give more details concerning the standard execution and the possible options. 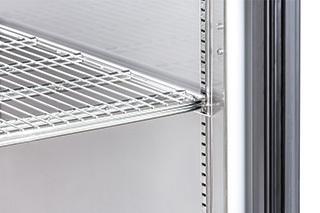 Insert the stainless steel grid shelves with the distance 13 mm for optimum utilization of the test room. 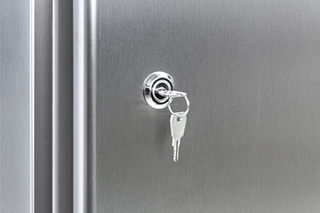 The appliance door is lockable. 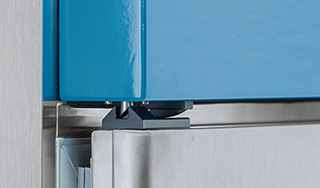 If the aperture angle is less than 90 °, it closes automatically. 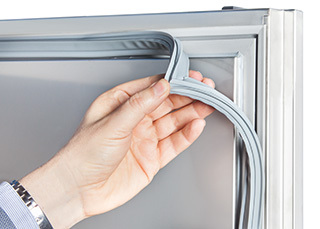 Easy maintenance: The magnetic rubber door gasket can be replaced without any tool. 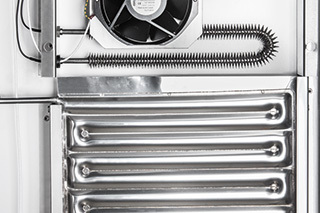 A 45 mm duct in the left side panel allows insertion of measuring lines and hoses into the test room. Delivery including cover. 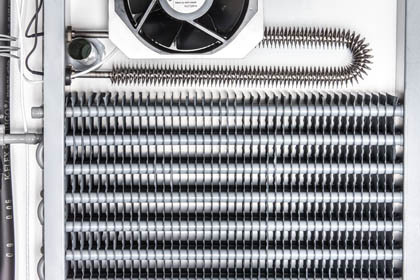 Temperature-conditioning is realized by an efficient fin evaporator and a fin tube heater in the air-conditioning duct. 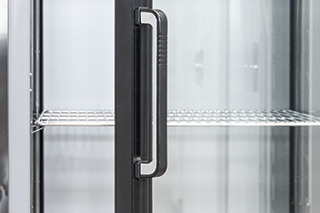 The triple glazed glass panel door always ensures an optimum view into the test room. A pane heating avoids formation of condensate. Another option: the internal glass door. 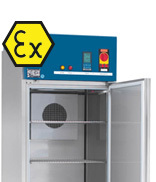 When the appliance door is open, it allows a visual check of the specimen – without any unnecessary disturbance of the climate in the test room. 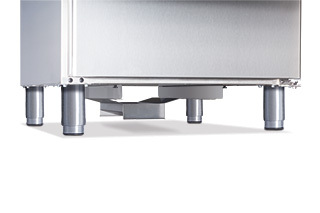 The stainless steel plate evaporator is always recommendable, whenever acid resistance is required, such as for Drosophila cultivation. 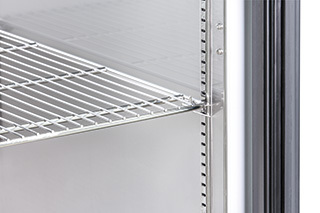 The reinforced stainless steel grid shelves are recommendable for building material testing or beer Forcier tests. Their maximum carrying capacity is up to 50 kg. 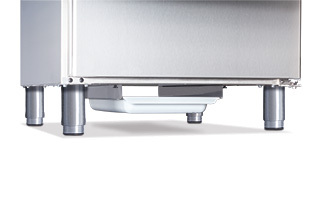 Collecting pan for dew water or condensate. It can be easily withdrawn to the front. 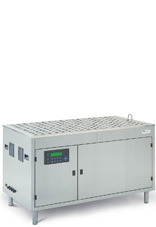 Convenient application: A self-controlling heating rod ensures automatic evaporation of the condensate. Thus, periodical emptying of the pan can be omitted. 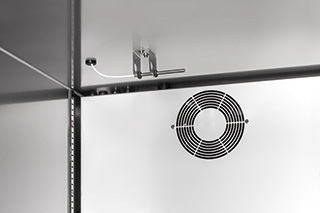 A 45 mm duct in the side panel allows insertion of measuring lines and hoses into the test room. Delivery including cover. 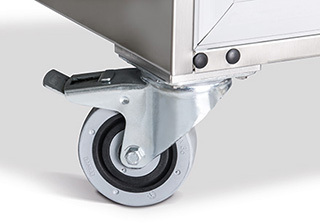 For the Eco-Line or as additional duct in the Premium-Line. 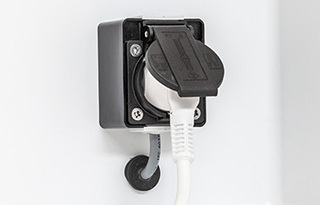 Gas-tight closing plug, matching to the tubular port. 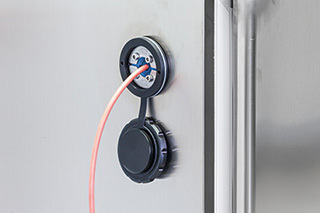 The gasket system with a flexibility in the range of 4 mm to 23 mm is based on a rubber module with removable skins and can be adapted to the cables, tubes etc. in different sizes. 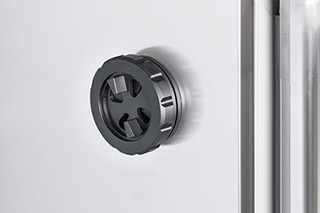 2 Fresh air rosettes, air flow rate adjustable, located in the upper and lower area of the test room, ensure the fresh air supply into the test room. Application: Plants, test animals. 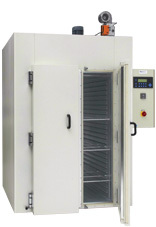 Mobile version of the test cabinet with 4 steering rollers, 2 of them lock-type with brake. 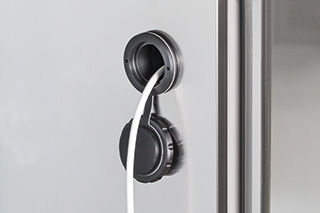 Electromagnetic door release by means of the Control2015 touch. Door unlocking only after successful authorization with entry in the logbook (name, date, time).